Wishing everyone a very Happy Christmas and a prosperous New Year. We are currently recruiting for 2 positions within our team at Rossend Castle in Fife. 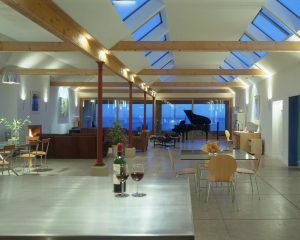 One is for a qualified Architect with around 5 years post Part III experience to work on a variety of commercial, leisure and domestic projects. Proficiency in Microstation is essential for this post as is the ability to run projects through to completion and communicate clearly with the client and other members of the design team. We also have an opportunity for a Revit experienced Architect or Architectural Technician to work on an exciting city centre project for which experience in the commercial sector would be a distinct advantage. For both positions, candidates must have a strong technical ability with a positive approach to work and be able to perform well to deadlines. In addition, proficiency in Photoshop, InDesign and Sketchup would be preferred. A clean driving licence would also be beneficial. Candidates must be eligible to work in the UK. No Agency applications please. 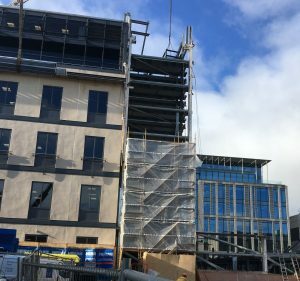 Just off Morrison Street and in the heart of Edinburgh’s commercial district, demolition of the old Skypark car park is progressing nicely to make way for our new BREEAM Excellent, Grade A office development at Capital Square. 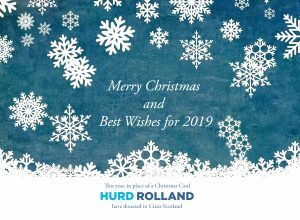 This year marks 80 years in practice for Hurd Rolland, and 40 years in our home at Rossend Castle. These images give a snapshot of our work through the decades. With our Capital Square project starting on site in the heart of Edinburgh’s financial district, and with many other great projects underway, we’re looking forward to an exciting future. 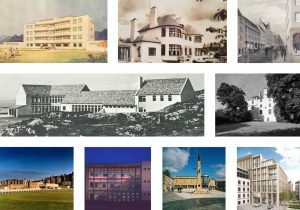 Images (from top left): Ravelston Garden, Edinburgh, 1930s; Linburn House, Lundin Links, 1940s; Canongate, Edinburgh, 1950s; Kyle Primary School, 1960s; Rossend Castle, Burntisland, 1970s; British Golf Museum, St Andrews, 1980s; University of Stirling, 1990s; Eastgate, Inverness, 2000s; Capital Square, Edinburgh, 2010s. We’ve just been informed that our Cardy Net House project has been selected by the RIAS for their 2020 Visions publication. The house will be published in a book, and displayed in an exhibition, in a project created by the RIAS to celebrate the 100 best houses and housing projects in Scotland over the last 20 years. You can read more about the Cardy Net House here.